Should I take the standard deduction? Or should I itemize deductions? The IRS allows almost all tax filers a standard tax deduction amount that lowers their taxable income. This figure changes each year as adjusted for inflation; and the figure varies for different filers in different situations. The above list is not exhaustive as there are some additional expenses that fall under the category of itemized deductions. If the total amount spent on these “itemized” expenses is more than your standard deduction, you can usually benefit by itemizing. 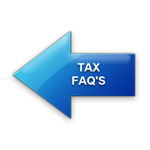 Feel free to contact us with any questions you may have regarding the standard deduction vs. itemized deductions...we’re here to help!